Contact Us. We will be CLOSED for the Easter Weekend from 5pm Thursday 18th April. OPEN as normal from 9am Tuesday 23rd April. 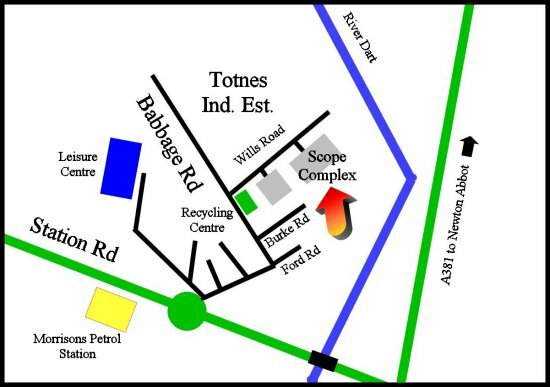 We can be found on Totnes Industrial Estate. Once on the industrial estate just take the 3rd turning on the right (Wills Road) by the Recycling Centre, and then the 2nd Car Park on the right. Please ring first if you are making a special trip!